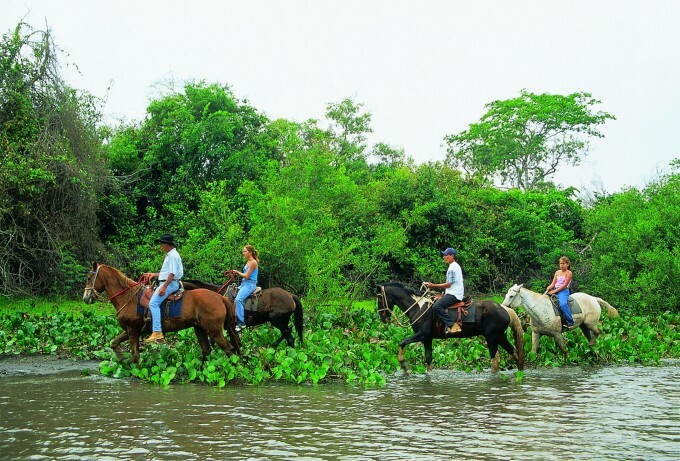 Below you may find some suggestions of tourism destinations for your visit. 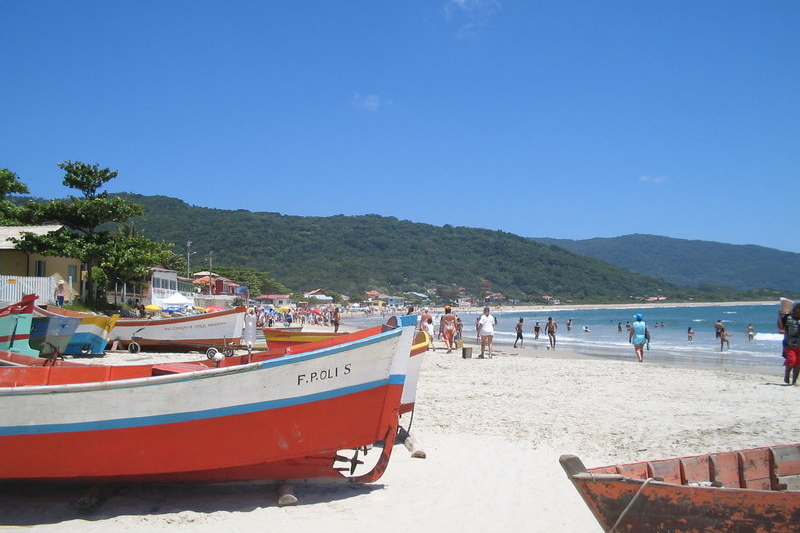 Information on several other destinations can be found at Visit Brasil website. In case you need any clarification on the information below, please contact Mr. Rodrigo Mansilha (rbmansilha@inf.ufrgs.br). Distance to Florianópolis: 3,133 Km. Average min./max. temperature (August): 26ºC (78ºF) / 27ºC (80ºF). 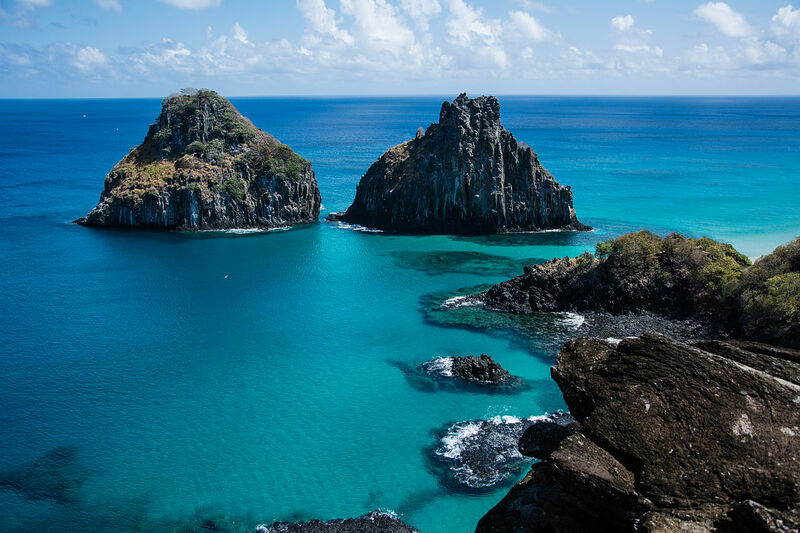 The archipelago of Fernando de Noronha and Atol das Rocas are the only points in the South Atlantic with several species of permanent and migratory birds. 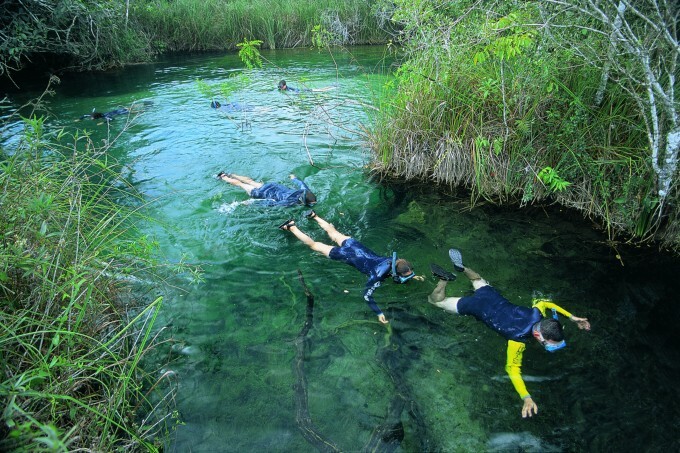 The natural pools reveal an exceptional diversity of fish. 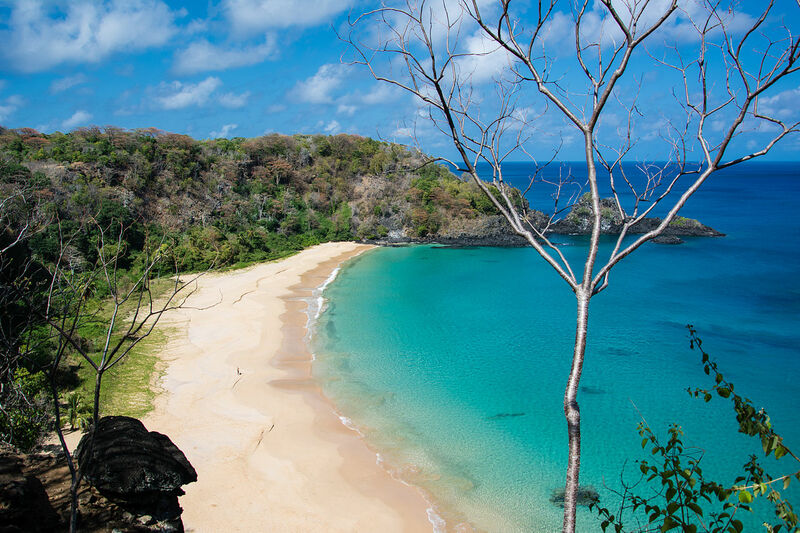 Fernando de Noronha is also home to the largest concentration of spinner dolphins on the planet. 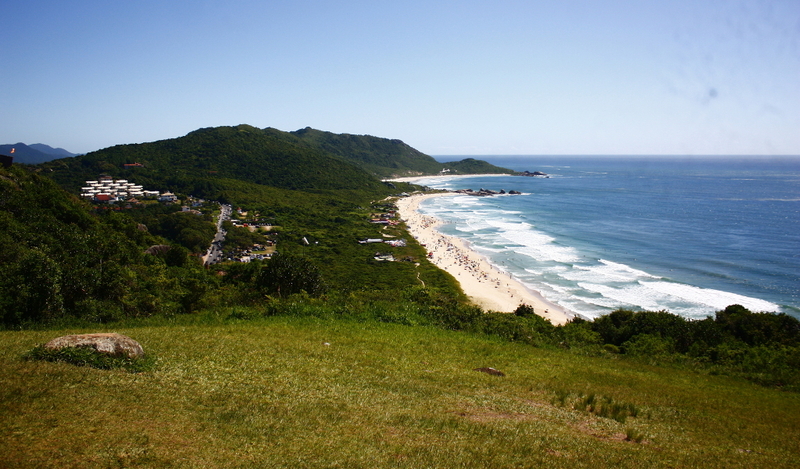 It is located 354 km (220 mi) offshore from the Brazilian coast, and the main island has an area of 18.4 square kilometers (7.1 sq mi), and a population estimated at 2,718 (2012). 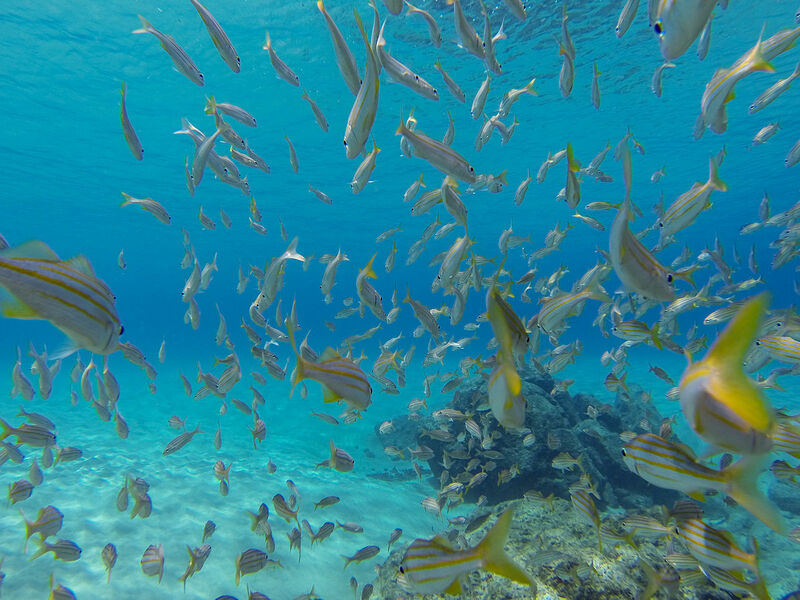 In 2001, UNESCO designated it as a World Heritage Site, given the island's importance as a feeding ground for several species, including tuna, billfish, cetaceans, sharks, and marine turtles, its high local population of spinner dolphins, and the goal of protecting endangered species such as the hawksbill sea turtle and other birds. 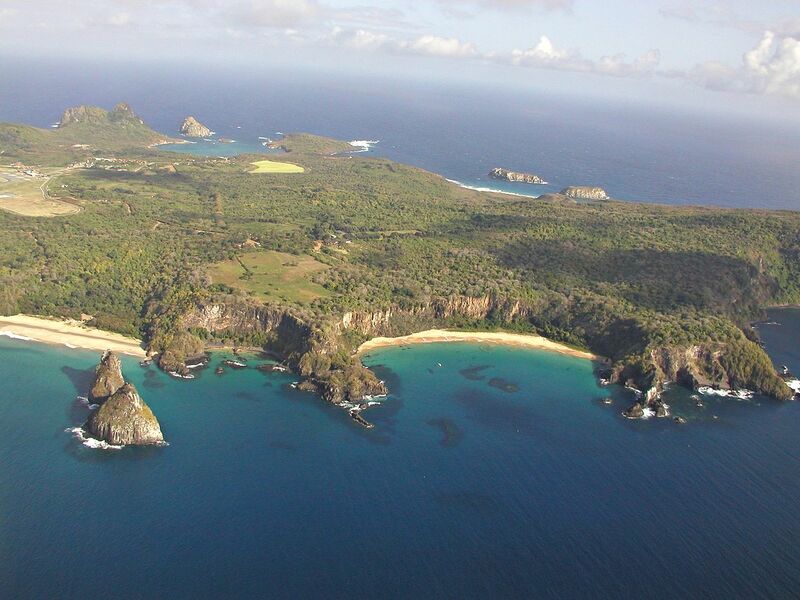 How to Arrive: Fernando de Noronha is served by Carlos Wilson Regional Airport (IATA: FEN, ICAO: SBFN). 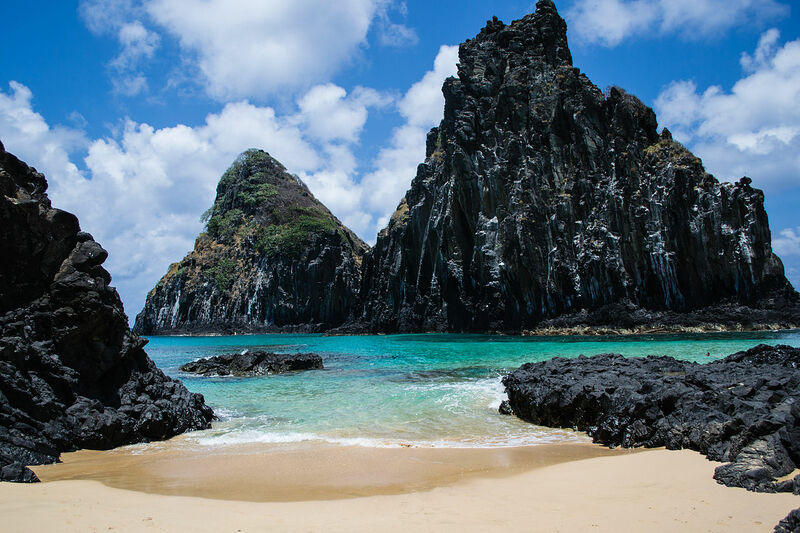 Round trip tickets from Florianópolis (FLN) to Fernando de Noronha (FEN) may range from R$ 2,500 to R$ 3,000, through airline companies Azul and Gol. Cheaper flights may be found arriving or departing from one of Brazilian major airport hubs, such as São Paulo Guarulhos (GRU) and Rio de Janeiro Galeão (GIG). Accommodation: Prices may range from R$ 500 to R$ 2,000 per night of stay, and reservations may be done through Hotels.com or Booking.com. 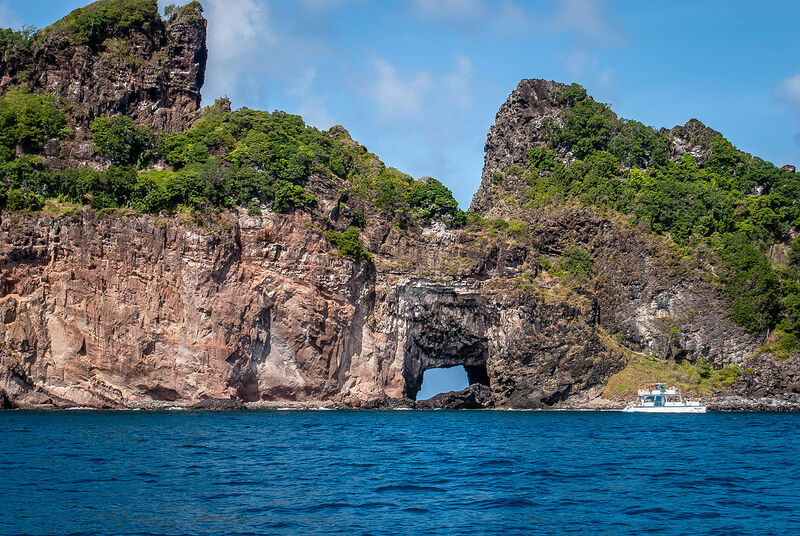 Please observe that admission to Fernando de Noronha requires the payment of a Preservation Tax. The total amount due varies non-linearly with the intended duration of the stay. Distance to Florianópolis: 650 Km. Average min./max. temperature (August): 11ºC (51ºF) / 25ºC (77ºF). 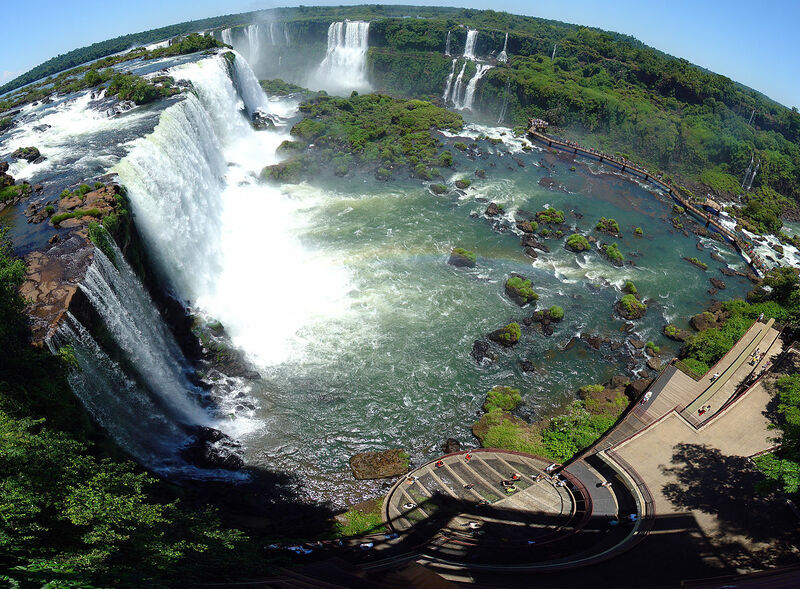 Spanning 2.7 kilometers, Iguaçu Falls are a complex of over than 250 waterfalls located in the Brazilian state of Paraná and the Iguazu River on the border of the Argentine province of Misiones. 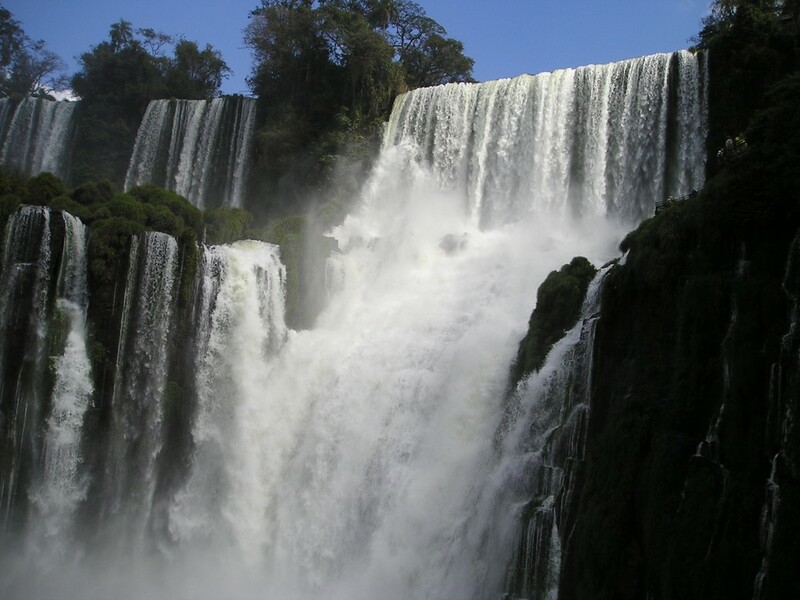 The falls may be reached from two main towns, with one on either side of the falls: Foz do Iguaçu in Brazil and Puerto Iguazú in Argentina. 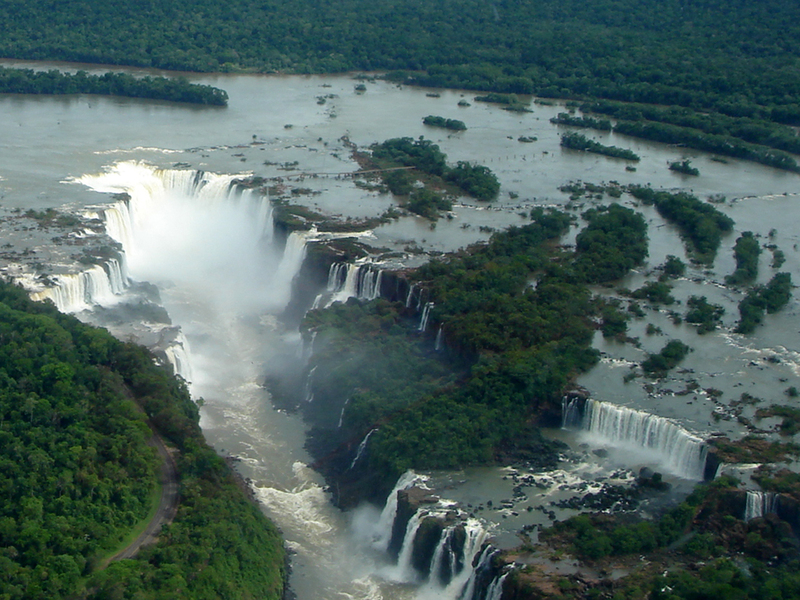 The falls are shared by the Iguaçu National Park (Brazil) and Iguazú National Park (Argentina). 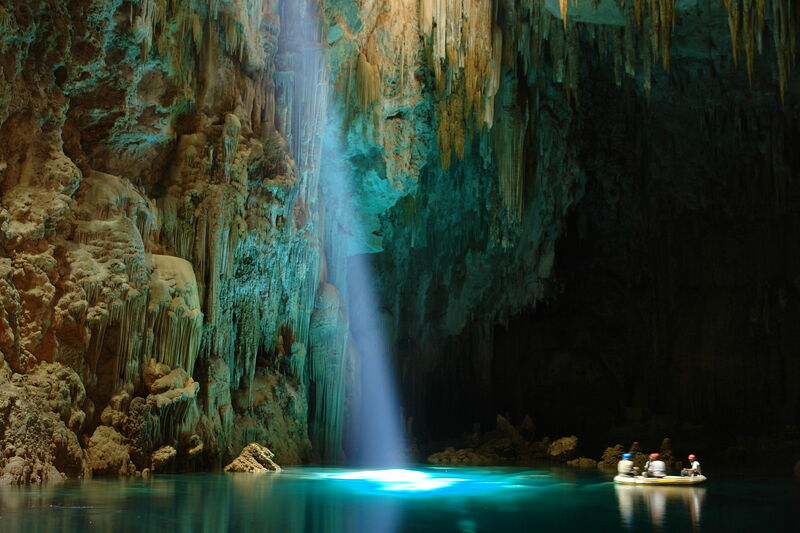 The two parks were designated UNESCO World Heritage Sites. The water flow at Foz do Iguaçu can be equal to three times that of Niagara Falls, and significantly wider than Victoria Falls. 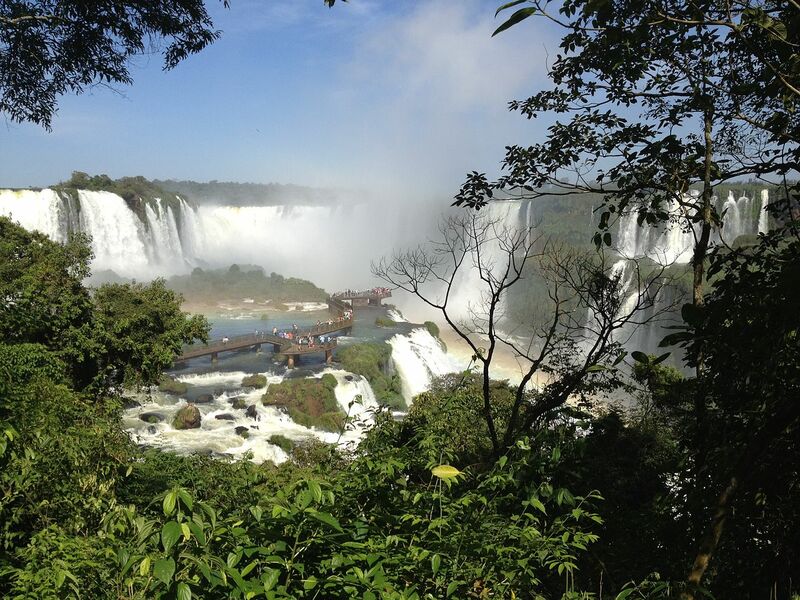 A visit to the Iguaçu Falls is an experience of immersion in nature through walking trails in the woods and the proximity of the immensity of the waterfalls in the Iguazu River. 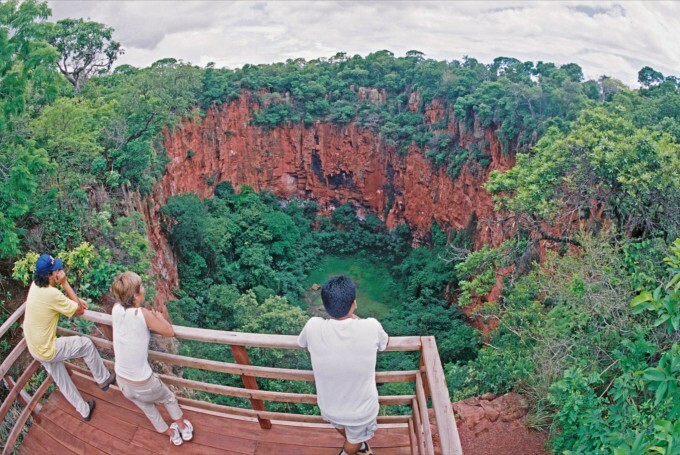 Located within the Iguaçu National Park, the surroundings have a qualified structure for receiving tourists, with a visitors center, parking facilities, hotels, restaurants, transfer buses, additional sightseeing tours, shops, food courts, and a hiking trail to access the falls. 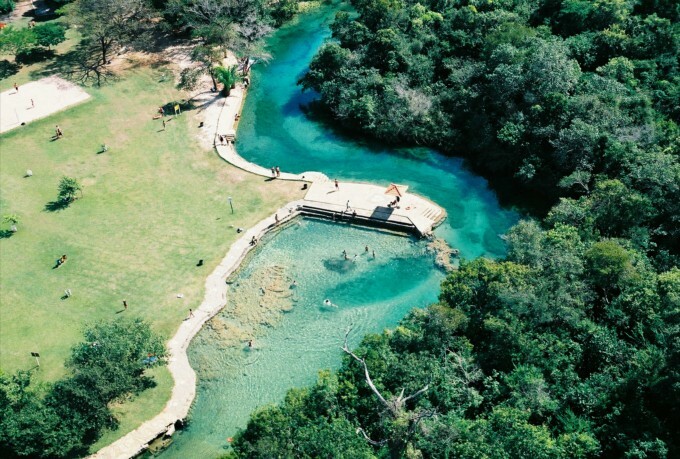 Helicopter rides, for a privileged view of the waterfalls, can be hired on site. Closer to the Iguaçu Falls you may also reach the Itaipu Dam (Itaipu Hydroelectric Plant). It is recognized as one of the greatest works of modern engineering, largest hydroelectric plant in power production, and until recently the largest in size. The Itaipu Dam administration provides an organized tour service that includes several visiting options in the areas of engineering, technology, nature, and local history. How to Arrive: Foz do Iguaçu is served by Foz do Iguaçu - Cataratas International Airport (IATA: IGU, ICAO: SBFI). 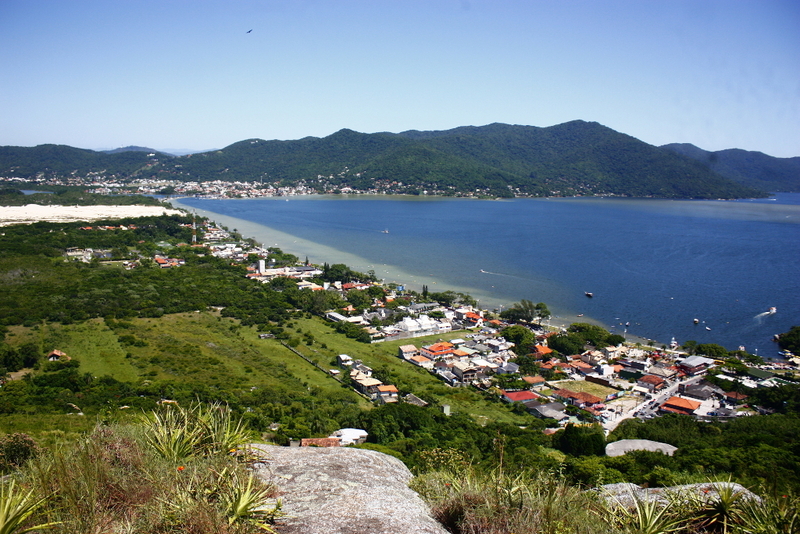 Round trip tickets from Florianópolis (FLN) to Foz do Iguaçu (IGU) range from R$ 550 to R$ 750, through airline companies Azul, Gol, and TAM. Accommodation: Prices may range from R$ 100 to R$ 400 per night of stay, and reservations may be done through Hotels.com or Booking.com. Distance to Florianópolis: 1,078 Km. Average min./max. temperature (August): 17ºC (62ºF) / 31ºC (87ºF). 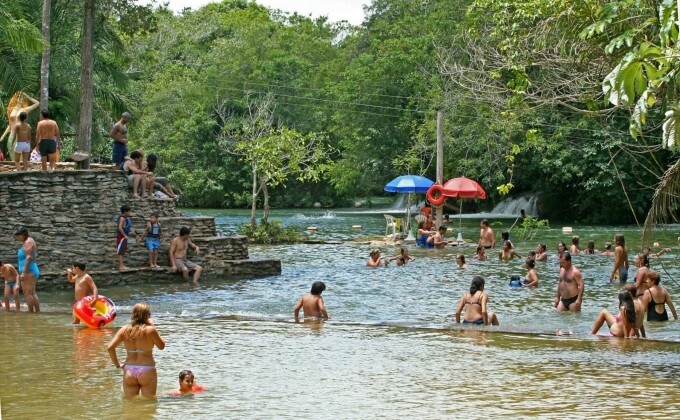 Bonito is widely regarded as Brazil's capital of ecotourism. 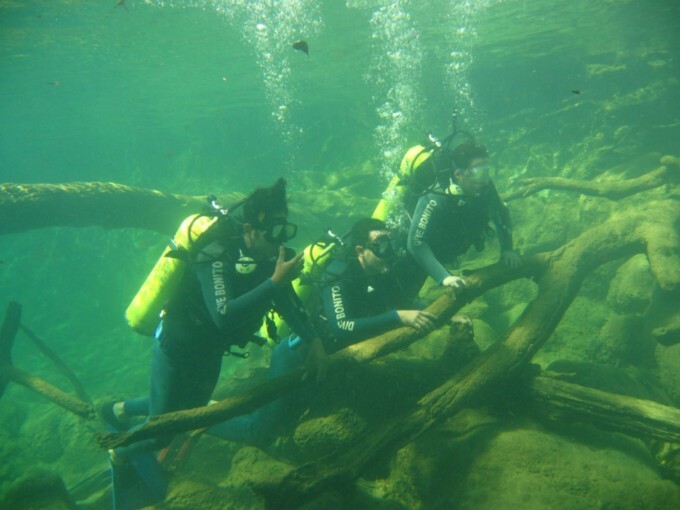 There are several tour options available in the region, including Abismo Anhumas (Anhumas Abism), Rio da Prata (Silver River), Aquário Natural (Natural Aquarium), Circuito Arvorismo (The trees circuit), and Gruta do Lago Azul (Blue Lake Cave). Some tours must be booked through a local, official tourist agency and require an accredited guide. How to Arrive: Bonito is served by Bonito Regional Airport (IATA: BYO, ICAO: SBDB), which can be directly reached from Campinas Int'l Airport (VCP) through Azul Airlines. 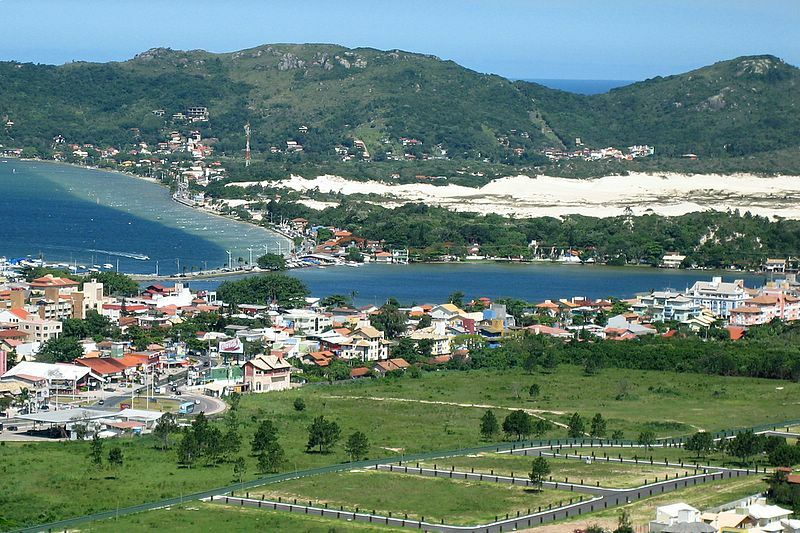 The airport nearest to Bonito with connecting flights from Florianópolis Hercilio Luz (FLN) is Campo Grande Int'l Airport (IATA: CGR, ICAO: SBCG). Round trip tickets may range from R$ 800 to R$ 1,500. The distance between Campo Grande and Bonito can be 260 km (taking highways BR 060 and BR 419) or 330 km (taking highways BR 262 and BR 419). From Campo Grande, there are executive buses (van type) departing to Bonito at 09:30 / 14:30 / 18:00 / 23:00, and returning at 07:30 / 10:00 / 12:30 / 18:30 (approximately 4 hours trip). The transfer can be purchased for prices starting at R$ 100.00. Another option is taking regular buses departing from Campo Grande Central Bus Station. Car rental service is also available at Campo Grande Int'l Airport, for your convenience. For further information, please refer to Portal Bonito website. Accommodation: Prices may range from R$ 150 to R$ 550 per night of stay, and reservations may be done through Hotels.com or Booking.com.